When you get up at the crack of dawn, you get to witness one of nature's most marvelous masterpieces. There's no better way to start your day than with a hot cup of coffee and a beautiful sunrise painting the clouds with warm hues. 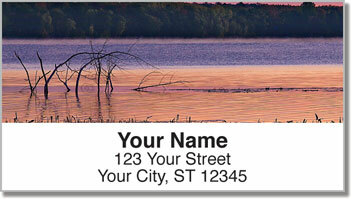 These scenic return address labels show just how talented our sun can be at creating a canvas of colors across the sky. 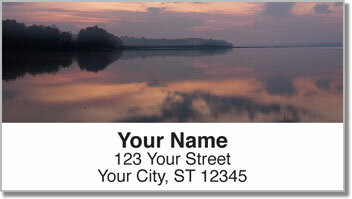 Stick them on your outgoing mail for a fantastic finishing touch. 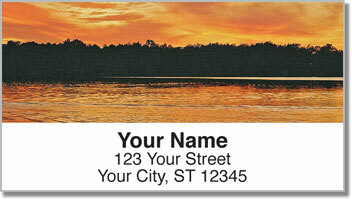 What's almost as refreshing as a sunrise is how easy this product makes the task of filling out envelopes. You'll never need to scribble out your return address again. Just peel and place thanks to the self-adhesive backing. 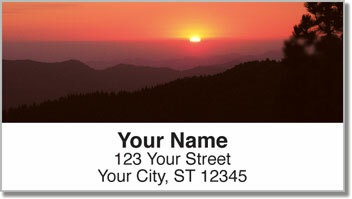 Order your own Sunrise Address Labels today! Get them with a set of matching personal checks.